Katie & Jon Jasiewicz are the authors of SewWoodsy.com; a lifestyle blog focusing on crafts, home diy projects, family, travel and all things life. They started the summer of 2010 as a husband and wife DIY team who documented their journey of homeownership one tutorial at a time. “We were tired of friends and family asking us what project we were working on. So we decided we would start a DIY blog. We wanted to provide a few updates on the projects we were working on each month. Giving our friends, family, and reader’s tutorials and sharing creative ideas on ways to spruce up our home, save money, and create together. By sharing inexpensive and easy ways to truly turn your house into a home. 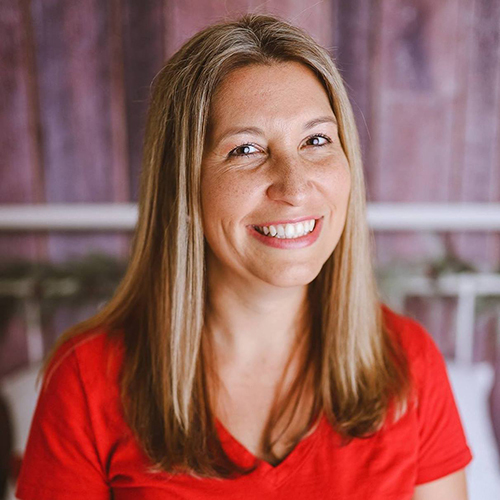 ” After starting a family and purchasing a construction business Sew Woodsy morphed into a place where Katie mainly shared about their family, crafts, some home DIY projects, travel, and all things life. Katie is a former corporate marketing professional who saw that she could turn this “hobby blog” of hers into a full-fledged business. After having her son in 2014 she made the giant leap to blog full time. Katie is also the author and owner of Katie’s Cucina, a recipe blog where she shares two original recipes per week. When she’s not cooking—you’ll find her crafting. She’s always enjoyed crafting and creating for her family and friends and loves sharing it with her readers too. Katie is also a long time Cricut user (back when the Cricut had the Cricut Personal before it became all digital). Katie has harnessed her love for the brand and products and has continued a long-time partnership with them since 2013. If you have a Cricut question she is the girl to ask. You’ll always find her creating new custom shirts for her kids. Cricut Iron-On Vinyl is her absolute favorite medium to work with. Jon has been building since as long as he could remember. He would watch his dad continually renovate their home in Queens, New York, so you definitely can say that the apple doesn’t fall far from the tree. When Katie and Jon bought their first home he was adamant they would buy a home that had a good base, but that could be transformed into the home they truly wanted. After 6 years of countless renovation projects they sold their first home within 4 hours site-unseen. Since having kids and purchasing a construction company in 2016 you don’t find Jon in the garage as often these days. He has a full plate, but when he can get in the garage he gladly will. His wood working hobbies include building furniture and turning on his lathe. He loves to make wood and acrylic pens for family and friends. 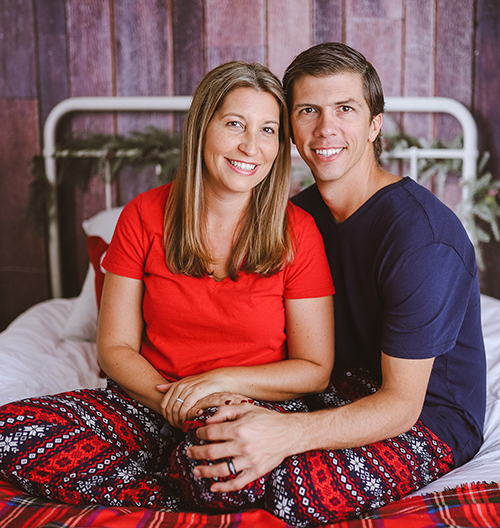 Katie and Jon live in Orlando, Florida and have two children. When they aren’t working on their home or crafting they are traveling. They’ve always had a love for travel and love to share experiences with their two young kids. People sometimes think they are crazy for the places they have already taken the kids at such young ages, but they truly love to give the gift of experience and culture.